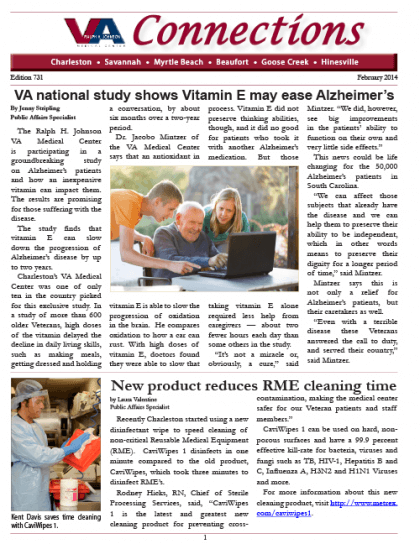 Connections is the long-standing employee newsletter for the Ralph H. Johnson VA Medical Center. Prior to me joining the staff, Connections had a newspaper layout with inconsistent paragraph styling, dated graphic elements and justification settings that made the content very difficult to read due to large blocks of broken text. The spacing throughout the document was also inconsistent in relation to the margins, cutlines to photos and between paragraphs throughout each issue of the newsletter. 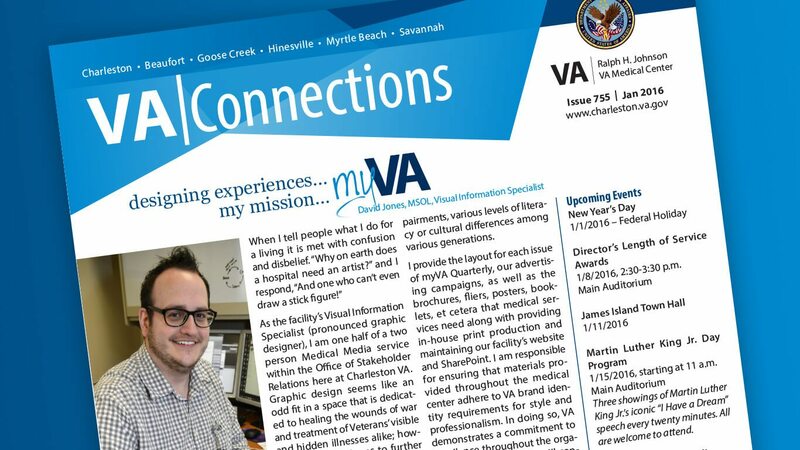 In April of 2014 I completed a redesign of Connections in order to align the newsletter with the VA Brand Identity Standards. I sought to make it more engaging and visually interesting through the use of highlight colors and a more logical structure. It was also extremely important to define a number of paragraph styles for text, event details, headlines, cutlines and bylines to provide consistency which aids in comprehension. I also focused on the word and character justification settings to make the text easier to read and eliminate the large breaks in the text which were prevalent in the previous design. Below are the two most recent issues of Connections as examples of the new design in action.